College Consortium offers students like you online courses at other institutions that have been approved by Central Christian College of Kansas for credit. Students can access hundreds of online courses approved by Central Christian College of Kansas, that will transfer toward any number of degrees or skill development needs. 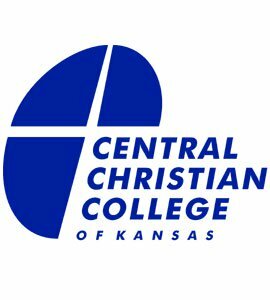 Central Christian College of Kansas is a College Consortium teaching member! Central Christian College originated on the plains of Nebraska in 1884 as Orleans Seminary. Free Methodist preacher Rev. C.M. Damon and his wife started the school for all grade levels from elementary through high school. In 1914, 30 years later, the school was moved to its present location in McPherson, Kansas. The school added the first two years of college and took on the new name of Central Academy and College. Long known as the oldest junior college in the state of Kansas, Central College received accreditation from the North Central Association to award its first bachelor’s degree in 1991. In 1999, Central changed its name to Central Christian College to reflect its growing status as a regional four-year baccalaureate Christian institution of higher education.